Asthma is a chronic but, so far, incurable illness affecting the airways that bring air into and out of the lungs. This module provides a brief review of the physiology of the normal respiratory system before focusing on the pathophysiologic changes that occur in patients with asthma. It also distinguishes allergic from nonallergic asthma and explores the triggers common to each category. Asthma is an extremely common disease in the United States, affecting more than 25 million individuals. It is a major consumer of healthcare resources and the most frequent reason for pediatric hospitalization and school absenteeism. 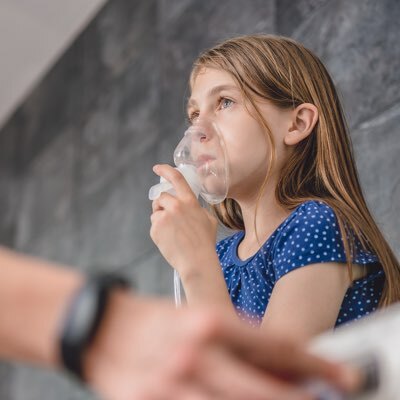 This module discusses the epidemiology of asthma in the US and explores the direct and indirect costs of the disease, as well as issues related to patient quality of life. Diagnosis of asthma focuses on establishing both episodic airway obstruction and the reversibility of such obstruction. Key elements in the diagnostic process include a complete medical history and specific pulmonary function tests. These diagnostic elements help to determine disease severity, which is a critical component of asthma diagnosis and treatment. This module describes current approaches to asthma diagnosis. This module discusses guidelines for asthma management and how these guidelines have been incorporated into a step-care approach to therapy (current guidelines refer to this as a stepwise approach). Guidelines for treatment of special populations will also be discussed. This module reviews the environmental controls and nonpharmacologic treatment approaches people with asthma can use to help manage their asthma. The module also describes the key healthcare professionals involved in asthma management and the importance of educating patients to establish a partnership in care. This module describes current pharmacologic treatment approaches to asthma, beginning with the current goals and management principles that guide these approaches.